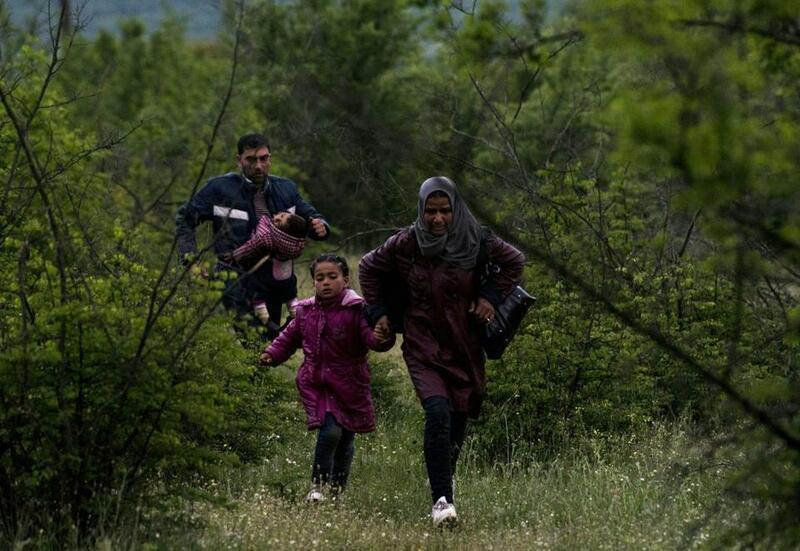 Syrian refugees ran through a forest in Macedonia after illegally crossing the border on Saturday. The Europe that President Obama visited this week is at war with itself. It’s deeply divided over refugees and the rise of neo-nationalists. In a speech in Germany on Monday, President Obama offered a vision of renewed transatlantic partnership. But his vision was oddly out of sync with reality: the European Union is at risk of breaking apart. The president eloquently urged Europeans “to resist tribalism and be guided by the forces pulling you together that are stronger than the ones pulling you apart.” But Obama’s “pivot to Europe” comes belatedly, after his long “pivot to Asia,” and years after forces were set in motion that destabilized Europe following the 2009 financial crisis. The United States has been missing in action. The refugee crisis is at the center of Europe’s political war. Some European countries are building walls to exclude people seeking refuge from the deadly conflicts in the Middle East, while others — notably Greece, Germany, and the Nordics — are working to reinforce EU values of openness and tolerance. The United States should do more to promote these values by increasing its support for relief efforts and opening its doors to refugees from the Middle East. European governments this year are contributing four times more money than the United States to the financially strapped United Nations High Commissioner for Refugees. Meanwhile, the United States will resettle a minuscule 10,000 Syrian refugees, compared with more than 500,000 in Germany. Greece is hosting 57,000 refugees, mostly Syrians, trapped by the recent closing of borders by EU countries on the Balkan route to the north. In contrast to Central Europeans, Greeks are rejecting xenophobia and are offering hospitality to their refugees. Local Greek officials are working with international organizations to build and organize camps where languages are taught and some access to education is provided. But resources are severely limited for asylum processing, housing, and education. The United States could work with the EU to meet these urgent needs. Under Chancellor Angela Merkel, Germany has followed a relatively enlightened refugee policy. German officials estimate the total number of refugee arrivals at more than one million. The government recently announced steps to integrate refugees through mandatory language and cultural training, 100,000 “new working opportunities,” and a three-year suspension of a law requiring employers to give preference to German or EU job applicants over asylum seekers. Police are checking vehicles at the main regular crossings and soldiers are patrolling other parts of the border. Hospitable Greek, German, and Nordic attitudes provide a basis for optimism that the future of Europe may not be dominated by xenophobia and nationalism, and that the EU and its founding values can be sustained. But there is evidence on the other side. 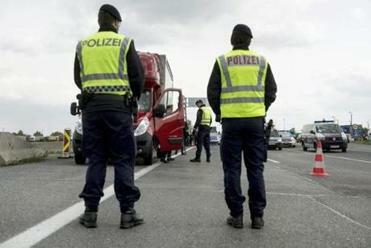 The EU has shut its doors to new arrivals by building razor-wire fences along some of its internal borders. It has signed an agreement with Turkey to return refugees arriving in Greece on the grounds that Turkey is a “safe country” for asylum, despite the increasingly authoritarian rule of Turkish Prime Minister Recep Erdogan. I saw an ugly result of this agreement during a recent visit to Lesbos, Greece, where a “closed camp” has been set up at EU direction to detain refugees arriving after the EU-Turkish deal was signed on March 20, in preparation for their return to Turkey. Europe is at the center of the refugee crisis. But if it is left to manage on its own, the EU will face growing internal disagreements and pressures from xenophobic nationalists to abandon its values and its framework for cooperation. The United States has been absent throughout the crisis. Obama’s soaring rhetoric in Europe this week should be matched by a commitment by the United States to take in more Syrian refugees and assist the EU in strengthening the global distribution and support system for people fleeing conflicts and persecution. John Shattuck is President of Central European University in Budapest. He served as assistant secretary of state for democracy, human rights and labor, and later as US ambassador to the Czech Republic, in the Clinton administration.